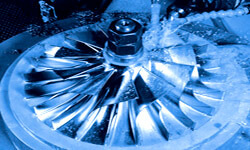 Measuring surface roughness and surface texture of new parts is necessary to ensure optimal performance. Maintenance personnel also need to measure surface roughness over time to guarantee functionality as a part wears. 4D Optical Surface Profilers measure surface roughness in shop floor environments, without vibration isolation. The compact NanoCam Sq measures smooth and super-smooth surfaces and can be used in situ in polishing equipment, on gantries or robots, or directly on large components. The FlexCam can measure roughness and quantify defects during roll-to-roll (R2R) manufacturing of flexible electronics, for real-time monitoring and control of roughness to less than 0.5 nm rms. 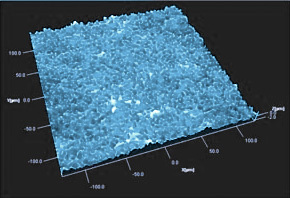 Finding and accurately measuring surface defects on precision surfaces is critically important for industries including aerospace, automotive and rotary machinery. The 4D InSpec Surface Gauge is the world's first instrument for handheld, high resolution measurement of surface defects and fine features. Accurate, flexible and affordable, the 4D InSpec takes high resolution measurement out of the metrology lab and puts it where it is most needed: on the factory floor, in refurbish/rebuild facilities, and in the field. Snapshot micropolarizer array technology enables PolarCam cameras to detect and measure defects in production environments. High speed imaging allows PolarCams to spot defects on moving and rotating objects, capturing problems that other cameras simply miss. 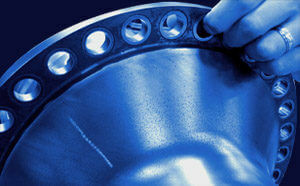 Precision machined components are fundamental in applications from aircraft engines to MEMS devices. These surfaces are designed for function, ranging from accurate reflection in optical grade mirrors to sufficient oil retention in drive train components and proper actuation in MEMS devices. The 4D InSpec Surface Gauge makes it easy to measure surface defects, as well as fine features such as rivet depth and dot peening, right on the factory floor. 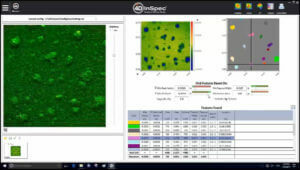 Fast, portable and easy to learn, the 4D InSpec is the world's first handheld, high resolution surface defect measurement system, and a game-changer for precision surface inspection. Learn about the new 4D InSpec Surface Gauge for high resolution surface measurement, right on the shop floor.